Can the original creditor and collection agency collect same debt? Question: Can a creditor still send you monthly statements to collect on a bill after they have sent your debt to a collection agency? Answer: As long as a debt remains unpaid, the creditor can continue attempting to collect on the account which may include suing you for the debt if it is still under the Statute of Limitations. Typically after an account has been charged-off a creditor may sell the account to a debt collector. You may never hear from the creditor again, except that a charge-off is listed on your credit reports. However, the creditor may have hired the collection agency with an agreement to give the collection agency a percentage of whatever they are able to collect. If this is the case, the creditor may be attempting to collect the debt on their end also. Contact the Original Creditor. Even though the account may have been charged off, since the creditor continues to try to collect you may have an opportunity to deal directly with them. This is important because the original creditor reports a charged-off account to the credit bureaus and charge-offs are detrimental to your credit scores. If you are in a position to make payments or pay the debt in full, negotiate with the creditor to remove the charge-off and/or late payments from your credit report in exchange for payment. Decide how much you can pay on the account before making the call. You will have more negotiating power if you can pay the full amount. Always speak to someone in authority because representatives answering phones do not have the power to make those types of decisions. If you cannot pay in full request payment arrangements in exchange for having the charged-off removed from your credit report once the arrangements have been met. Pay for Delete Agreement. Get the agreement in writing by either the creditor sending you an agreement on their letterhead or you composing a Pay for Delete Agreement including the name, mailing address and phone of the person you spoke with. The agreement should be sent, via certified mail, return receipt and a copy of the agreement should be sent to you once signed by the person in authority. Never make payment until you have an agreement in writing and can prove someone from the creditor’s office made the agreement by having all their contact information. Account Rehabilitation. If the account remains at the creditor ask if the account can be rehabilitated. Account rehabilitation involves making a series of on-time payments for a specified period of time, such as 9 -12 months. Once rehabilitation has been completed the account goes into a paid, never late status. It’s like a new beginning. Not all creditors will do account rehabilitation but it never hurts to ask. In conclusion the creditor mailing you statements could be an error but it could also mean they are still holding the account. In that case, it may work to your favor by requesting the creditor pull the account from the collection agency and allow you to make payment arrangements. 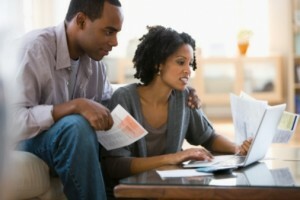 Payment arrangements can help to recover your credit score.